MediJoint Pain contains none of the ingredients found in NSAIDs -- so there are none of the associated side effects and risks. 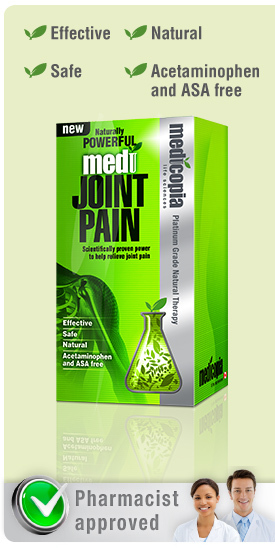 What MediJoint Pain does is acts as an analgesic that relieves joint pain, reduces inflammation (the cause of joint stiffness and aches) and significantly improves mobility, so you can move more freely. << Previous Why choose natural joint pain relief over acetaminophen or acetylsalicylic acid (ASA)?